When I confessed to a friend that I had never seen the movie White Christmas (with Bing Crosby, Danny Kaye, Rosemary Clooney, and Vera-Ellen), she insisted that I make plans to see it this Christmas season. Well, it’s already one of my favorites. There are so many great White Christmas movie quotes that I’ve collected several for you here. If you’re a die-hard fan of this Christmas classic (or on your way to being one) then you’ll instantly be taken to the scene of each of these memorable lines. Feel free to share these as your Facebook or Twitter status. 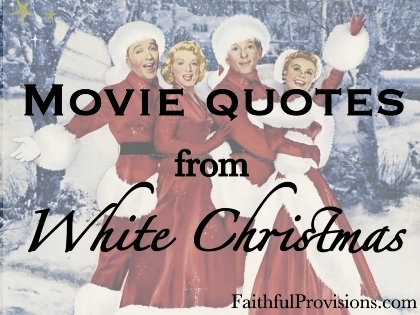 If you love this movie, please feel free to add your favorite movie quotes from White Christmas in the comments below. Find more quotes for Christmas HERE on Faithful Provisions! It’s not just the one-liners, it’s the conversation between the characters that adds so much depth to each scene. Here are a few of the best White Christmas movie quotes dialogue. 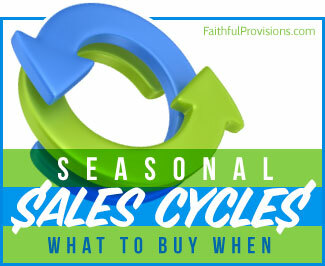 See a listing of my favorite Christmas movie classics HERE on Faithful Provisions. I just saw this movie for the first time last night and imagine my surprise when my grandpa’s favorite saying came out of Bing Crosby’s mouth! I had no idea it was from this movie! It made me miss him but also smile, imagining him watching the movie. And of course laugh, because of the quote! There’s alwsys a slip up during a change of command; the men get a little loose. I know I am leaving them in good hands.